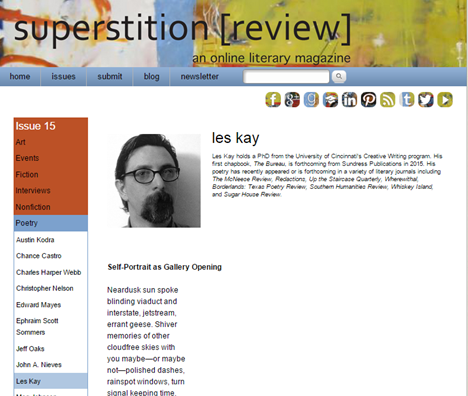 Issue 15 Superstition Review contributor, Les Kay, recently released a poetry collection, The Bureau, with Sundress Publications, and it is announced here in a press release. Enter a daring dystopian high-rise where revolutionary language craves a new kind of survival. The high stakes these poems ante up beneath fluorescent heat to forge addictive identities. Imaginative traps and creeping Stockholm syndrome throughout are signed, sealed, and delivered fresh from the mail room in Kay’s potent arrival. 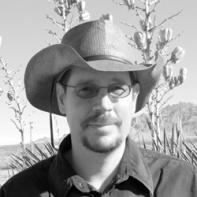 Les Kay holds a PhD with a focus on Creative Writing from the University of Cincinnati and an MFA from the University of Miami,where he was a James Michener Fellow.After he survived the dot-com boom of the early 2000s, his poetry appeared widely in journals such as decomP, PANK, Redactions, South Dakota Review, Southern Humanities Review, Sugar House Review, Whiskey Island, and The White Review. The two maybe related. He is also an Associate Editor for Stirring: A Literary Collection. He currently lives in Cincinnati, teaching writing, caring for three very small dogs, and contemplating the distribution of systemic power and misinformation. The Bureau loves him. How do I condition myself to begin? 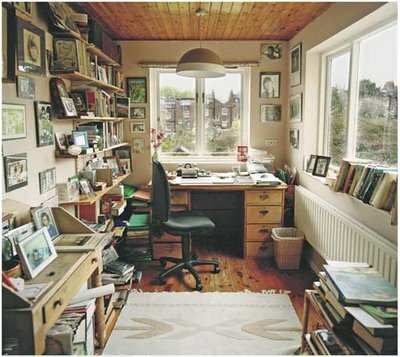 If writing were a 5K race, I’d know how to warm up—light jogging, stretches, a few sprints. But once I’ve coerced imagination and memory to join me at my desk, how do I induce them to converse? How do I create the mood for writing? This final stage of my daily writing prep is highly personal—I’m sure all writers have “getting started” tricks of their own, and I offer mine only as an example, not as a prescription. (Can you sense that I’m delaying, tip-toeing around my revelation?) Okay—what I do to get started is dig into my vast store of humiliating moments, pull one out, and relive it until I feel my fingertips quiver and the blood rush to my cheeks. When I’ve exposed myself to myself—when I’m as raw and as honest as I’ll ever get, I’m ready to write. What I’m describing is the use of my catalogue of personal humiliations as a stimulus, not as a source of subjects. (With the understanding that this catalogue is always available when I am at the subject-searching stage.) And I should make it clear that by “humiliations,” “embarrassments,” and “mortifications,” I’m not talking about revisiting the tragedies we encounter in life. Tragedies are too grand in scope to suit my purpose—I can’t contemplate a personal, historical, or literary tragedy quick enough for a useful warm-up exercise. And the relief that comes from catharsis, the purging of pity and fear that Aristotle claims to be the end result of literary tragedy, is the opposite of what I’m looking for when I’m beginning my writing day. Bring on Rosencrantz’s shock at being caught—at something. What about happy moments? Not for me—too warm and fuzzy. Like Tolstoy’s happy families, happy times are basically all the same—picture the cast of Disney on Ice skating to canned cartoon melodies, performers and audience blissfully unaware that Mickey and Minnie’s glittering blades threaten to slash through the surface of Kafka’s frozen sea. Exhuming a past humiliation requires not warmth, but a tolerance for a kind of lonely coldness — I choose a mortifying moment to suspend in memory, and its icicles drip onto my cheeks. When my chill blush seeps down my neck to my shoulders, my shiver tells me I’m prepared for work: by daring to hide from nothing, I’m free to write about anything.